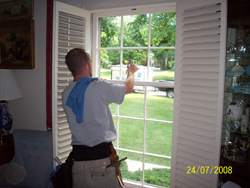 Mike's Window and Gutter Cleaning provides a full range of exterior cleaning solutions in the greater Kansas City metro. As our name suggests, we're more than just a team of window washers. 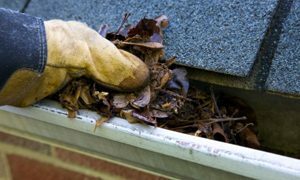 We also offer gutter installation services, gutter cleaning services, pressure washing services, and more. Outfitting residential and commercial buildings alike with first-class workmanship and precision, we go the extra mile to ensure your customer satisfaction at every turn. When you're looking for fabulous customer service and great results for your window and gutter cleaning service, we're the ones to call! Get your home or business looking its best when you contact our gutter cleaners and window washers today. Established in 1985, Mike's Window and Gutter Cleaning serves the entire Kansas City region—in both Missouri and Kansas—including Mission Hills, Overland Park, Leawood, Lee's Summit, and other area towns. We're a family-owned business with roots in the community, and we use our decades of experience as window washers to bring you quality service and affordable rates. When you're looking for a team of window washers and gutter cleaning professionals who have the skills and know-how to get your property looking its best, we're the name to know in Kansas City. 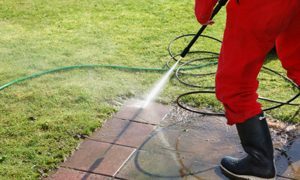 From superior gutter installation to thorough pressure washing services, we tackle every project with only one thing in mind: your satisfaction. At Mike's Window and Gutter Cleaning, we aim to please, and that means we never cut corners or take shortcuts when it comes to the quality of our work. All of our team members are supremely talented and professional, and we're confident that you'll be nothing short of impressed with how great your home or business looks once our job is complete. You won't find another team of window washers and gutter contractors as dedicated to customer service as we are. Founder Mike Smith is a retired firefighter of 27 years, so we know what it means to serve. We take the values of firefighting—hard work, honesty, and service to others—and apply it to your window washing and gutter cleaning jobs. Just like you rely on your local firefighters to help you in emergencies, you can put your trust in Mike's Window and Gutter Cleaning for great service and a job well done.